Sometimes you score big in little ways – namely, mini Vietnamese staplers that are TRICKED OUT. This bad boy leaves a flat staple – metal tabs are pressed flat on the back. See that orange tab? 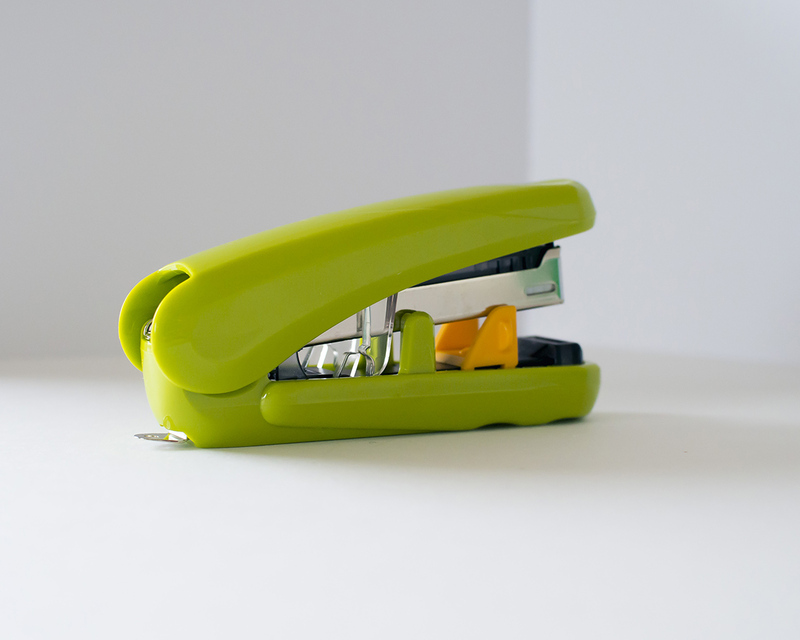 It’s an adjustable guide so you can staple exactly where you want, on repeat – OCD at its best. Made a mistake? No sweat – the metal tab at the back is a stapler remover. Comes with 1,000 staples so you can get down to it. All locally sourced in Việt Nam.